A million Belgians fled their homes as the German armies swept into Belgium in the early months of the war and it is estimated that nearly 250,000 Belgians reached English shores. According to local newspaper reports, ‘a considerable number had come to Bromley [which had become] quite a mecca to them’. Bromley newspapers reported that around 4500 Belgians arrived at Folkestone on Wednesday 14th October 1914, with some 250 arriving in Bromley South Station later that day. 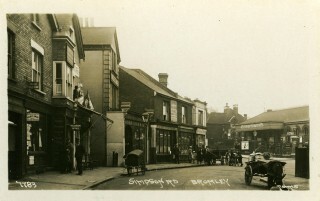 Houses in Beckenham, Anerley and Shortlands were immediately provided with furniture and bedding for the first arrivals and more in other parts of the borough followed. Eleven centres across the borough, including Bromley Cottage Hospital and the Rookery at Bromley Common amongst other institutions were able to accommodate 279 refugees. Previously unoccupied houses were made available, free of local taxes and sometimes free electricity was also provided. Many children went to local schools and a special school for Belgian children was opened in Copers Cope Road, Beckenham. The needs of the refugees were met by local voluntary groups. Many fund raising activities were arranged; the Penge Urban District Council minutes record permission given for a hall to be made available for four concerts to raise money for Belgian refugees in late 1914. ‘To the British Nation from the grateful people of Belgium 1914-18’. 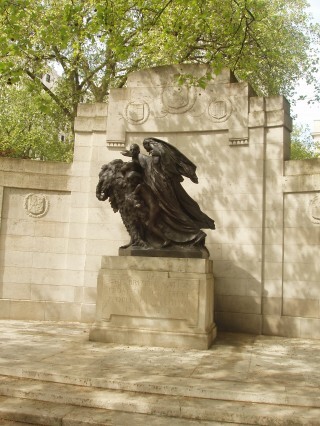 The Belgian War memorial at Victoria Embankment. This page was added by Ian Grant on 24/02/2014.